People in Belarus are ready to continue their “social network revolution” as the authorities try to develop countermeasures. ­On Wednesday, a new round of protests is scheduled in Belarus against the government policies as many have already tested the strength of the internet. Locals in several cities last week took part in unusual rallies as a part of the “social network revolution” which seems to be unfolding across the country. Its participants are actively using the internet and coordinating their actions through social networks. The people are rallying without political slogans or songs of support for the country’s opposition. Instead, they stand still in central streets and sometimes clap their hands. The Belarusian opposition forces are largely demoralized now as many activists were detained following the protests over December’s presidential election. The current wave of protests being organized through the internet seems to be more connected with the economic crisis that hit Belarus rather than the police crackdown on the opposition. The police had warned people in advance that even clapping their hands would be considered an unauthorized action. But the authorities were not satisfied with the police response to the protestors. 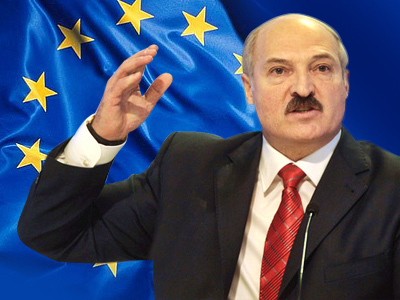 Earlier this week President Aleksandr Lukashenko dismissed the chief of police in Minsk. Officially, Leonid Farmagey lost his position for failing to ensure security in the Minsk subway. However, many in Belarus believe the main reason behind the dismissal were the “ineffective” measures taken by the police against those who coordinated their actions via the internet and took to the streets. 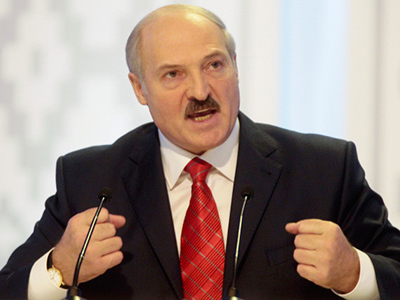 In mid-June Lukashenko reportedly warned Interior Minister Anatoly Kuleshov that the police chief would be dismissed if one more protest action took place. 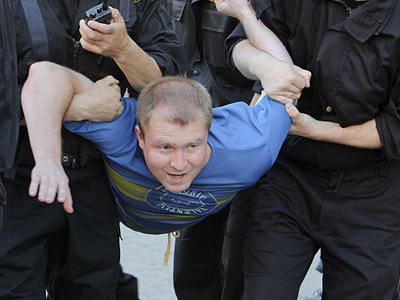 But after a huge gathering of “passers-by” in Minsk on June 22, only the head of city police was fired. After the action planned for Wednesday, another huge event may take place on July 3, when Belarus will celebrate its Independence Day. It is not yet clear who is behind the invitations posted on the internet, though they say that the goal of such meetings is “to unburden themselves of fear and start to act.” It seems to be the nature of these potentially “active events” that worry the authorities. Although they formally cannot detain people for just walking or clapping, representatives of local executive bodies and police still keep warning potential participants against taking to the streets. The Interior Ministry said that half of those who participated in the event that took place on June 22 are dodging the draft and promised to continue looking for such people at subsequent protest rallies. The police in Minsk have also warned that they will be able to distinguish between those who are simply applauding for the veterans on Independence Day and the protesters. 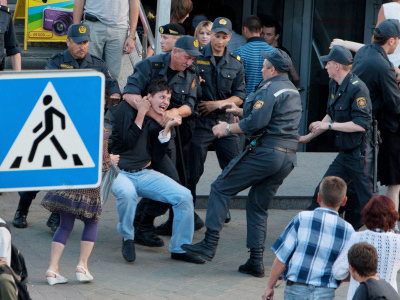 Officials in the Belarusian Justice Ministry stated that people could clap on the street. However, if the clapping is “prolonged and causeless,” this may irritate other citizens and police will have the right to “suggest another place” for them to go, they said. The authorities in Minsk have had to be inventive in taking countermeasures against people who “come from social networks.” On Wednesday, an outdoor dance event will be organized on the capital’s Oktyabrskaya Square, where protesters usually gather for their silent actions. Schools, universities and even some enterprises were obliged to send groups of young people to fill up the square. The concert will certainly silence any protesters’ clapping.